WPA Tester, which allows the application to test the security of your Wi-Fi, avoiding network access by unauthorized parties, is updated by fixing the various problems encountered in the previous version and introducing compatibility with some new routers. Let’s see all the new features. If you leave the default settings on your private line, WPA Tester will test the actual security, generating possible default passwords. If your default password is one of those found by the application, you should enter the router settings and enter a personal password, to prevent attackers who can abuse your internet connection. Compatible with iPhone OS 5. Adding page quick resolution of problems. Adding immediate determination testable network. Added ability to share on social networks. Added new MN Alice (total 335). Added years 2008-09-10-11 for Thomson and others. Adding year range selected for Thomson and others. 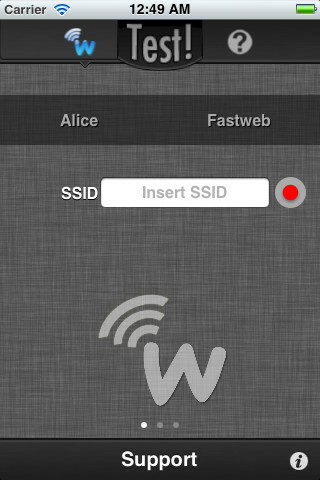 WPA Tester is a Universal application compatible with iPhone, iPad, iPod Touch, requires firmware version 3.2 or later. The app is available for download at App Store for $1.99.